With the days growing shorter, temperatures sinking lower, and damp air creeping into the house, it can be tempting to burrow under that old electric blanket. However, you might want to consider selection of linen towels, cashmere throws, and plump knitted pouffes instead. Here, we show 12 of our favorite ways to have a happy hibernation this winter. The textured patchwork that tops the Mangas Pouffe by Patricia Urquiola was originally introduced as a rug. Organic-wool fibers are woven in a richly textured seat that blends artisan techniques with modern—and playful—functionality. Inspired by vernacular quilting traditions, Meg Callahan uses contemporary production techniques to create her distinctive line of blankets. This version is a limited-edition exclusive. Price: $3,000. Old-world crafting techniques meet a modern sensibility in these 100-percent Turkish cotton towels by Michele Keeler. The highly absorbent, velvety-soft pile is designed to withstand years of use, and the cheerful color palette will add a bright note to bathrooms. Price: $18-89. After creating the Blur sofa for Moroso in 2010, New York–based designer Marc Thorpe collaborated with Jos Pelders, of the Dutch textile manufacturer Innofa, to conceive a fabric capable of pulling off a disappearing act. A high-tech process, which translates the design of their Blur sofa onto material, involved a complex sewing machine that knits the fabric into layers, creating a luxuriously textured piece. Designed by Claire Anne-O'Brian, this chunky stool is made from oversize knots that offer a squishy seat. The Grand Canyon Blanket is part of Pendleton's National Bark's collection. Price: $188-218. Made in Imabari, Japan--a town famous for its distinctive high quality toweling--these towels by Kontex are delicate and fine, but remarkably strong and super-absorbent. And because they’re not bulky, they take up less space than a standard set. Price: $16-420. The past and present collide in style with these handcrafted color-block rugs conceptualized by Barcelona designer Nani Marquina. Crafted using the traditional kilim technique, these woven wool floor coverings transform age-old weaving into a modern accent piece that brings instant impact to any room. This wool-polyester blanket has a pixelated graphic rendered in muted greens, plums, and blues, and a cozy taupe underside. 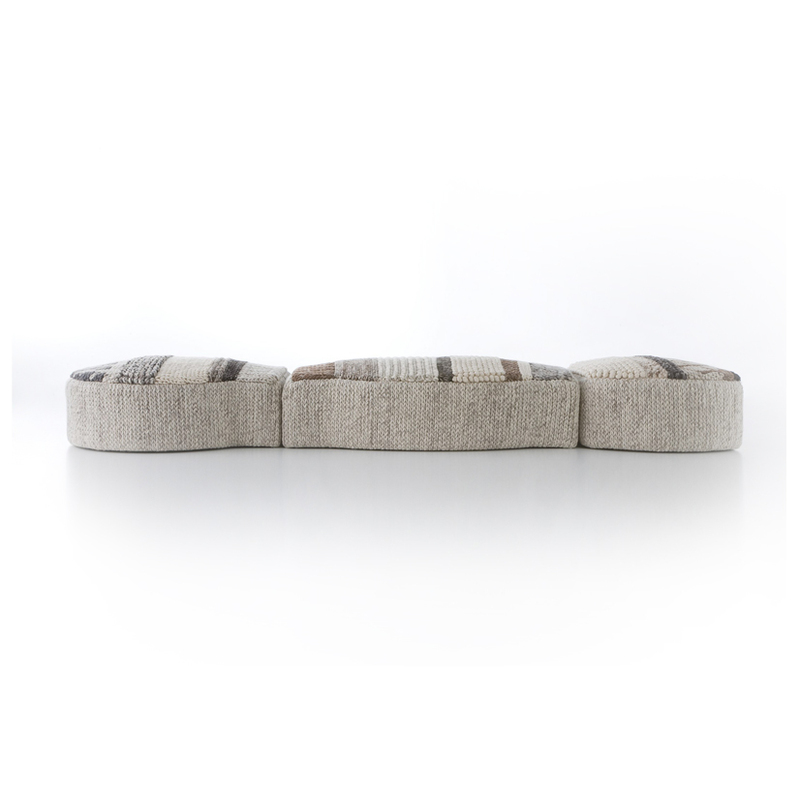 By Missoni Home, price: $935. The stream of amazing projects that emerge from students at Design Academy Eindhoven in the Netherlands is never-ending. Alum Christien Meindertsma spent a summer in a village in Wales, shearing sheep and knitting with their wool—one article or product per animal. The resulting collection became a brand called Flocks, the ongoing product of which is the Urchin Pouf (shown). This black-and-white cotton rug is a bold anchor for any room. Designer Suki Cheema was inspired by traditional Indonesia prints, which he’s re-worked to make a modern, graphic statement. Hand-woven in India. Price: $680. Designed by Olli & Lime, this 100-percent cotton, fleece-lined, and supersoft Egg blanket was intended for a baby's crib, but its retro colors and simple lines would look just as cool laying at the end of your bed. Price: $45.